eMTB Challenge – Register now! The registration for the well-known and popular Bosch eMTB-Challenge supported by Trek has started. Riders have to cope with an average of 35 kilometres and about 1,000 metres of altitude difference. Driving technique and orientation are just as important as fitness and clever battery management. A mixture of technical sections on the uphill and downhill tracks as well as good orientation on the transfer tracks is important, being an “Allrounder” is best. 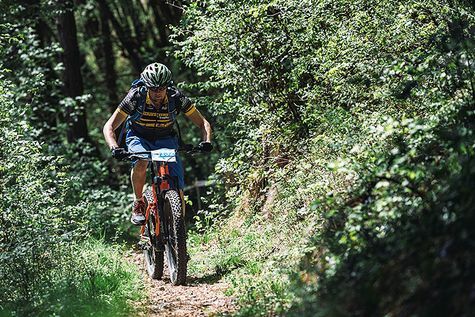 The three categories enable all bikers with different skill levels to participate in the eMTB Challenge and enjoy the special competition atmosphere - first and foremost it's about fun and the shared experience on the trails. Join the opening race in Riva del Garda - register now!